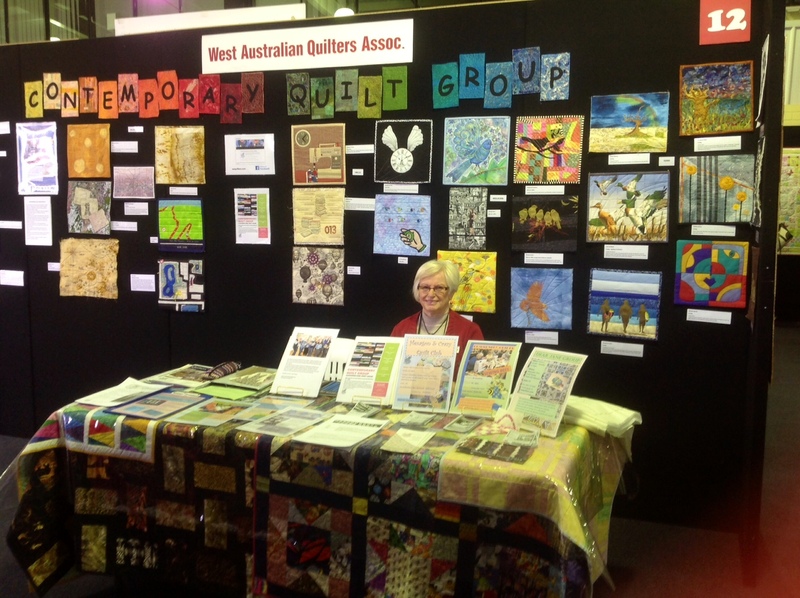 WAQA had a colourful and information packed stand at the WA Craft Show at the Showgrounds last week. 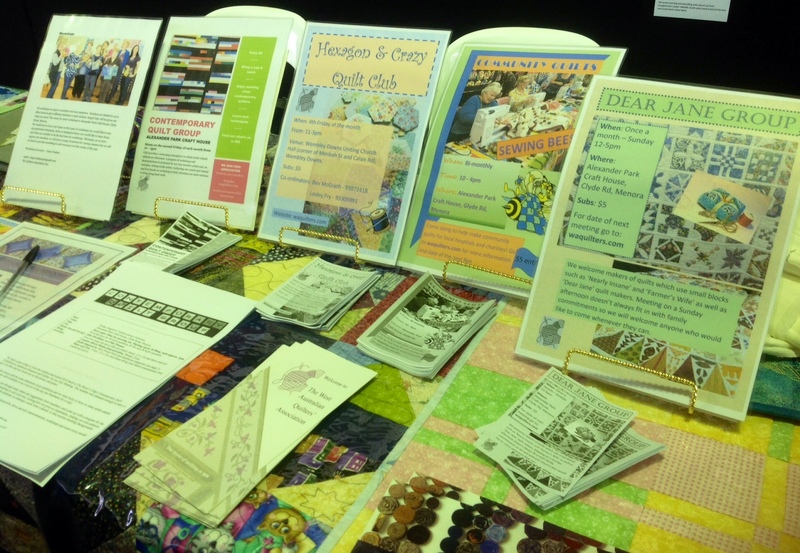 The Contemporary Quilt Group provided the 12×12 challenge quilts which were much admired. The group and workshop flyers showcased what the Association has on offer and created a lot of interest. Thanks for coming to say ‘hello’ to us….